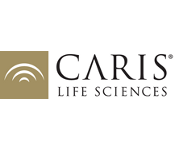 Since 1996, Caris Life Sciences has been a leader in diagnostic, prognostic and theranostic medicine. Our mission is to transform healthcare through development of innovative technologies. Caris combines the rigor of an academic medical institution with the innovative spirit of a technology company. We believe that innovative, high-quality testing and information can lead to more effective treatment selection and ultimately to better outcomes for patients with cancer and other complex diseases.Caris combines the rigor of an academic medical institution with the innovative spirit of a technology company. We believe that innovative, high-quality testing and information can lead to more effective treatment selection and ultimately to better outcomes for patients with cancer and other complex diseases.